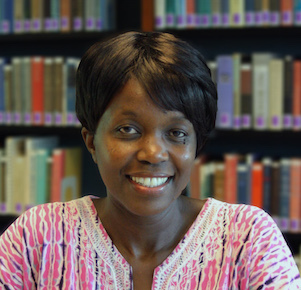 Dr. Atieno Mboya Samandari teaches in the Vulnerability and Human Condition Program. She holds a master of international and comparative law from Georgetown University Law Center and a doctor of juridical science (climate change and gender) from Emory University School of Law. She has worked in several African countries on issues relating to development, gender, and children's rights. She won a MacArthur Foundation Fellowship through which she researched the role of human rights awareness in promoting the transition to democracy in South Africa. She has worked as a law and development consultant with the World Bank in Washington, DC and as a researcher and writer with UNICEF. Since coming to Emory, her research and writing has focused on examining jurisprudential underpinnings of the law from a human vulnerability perspective.